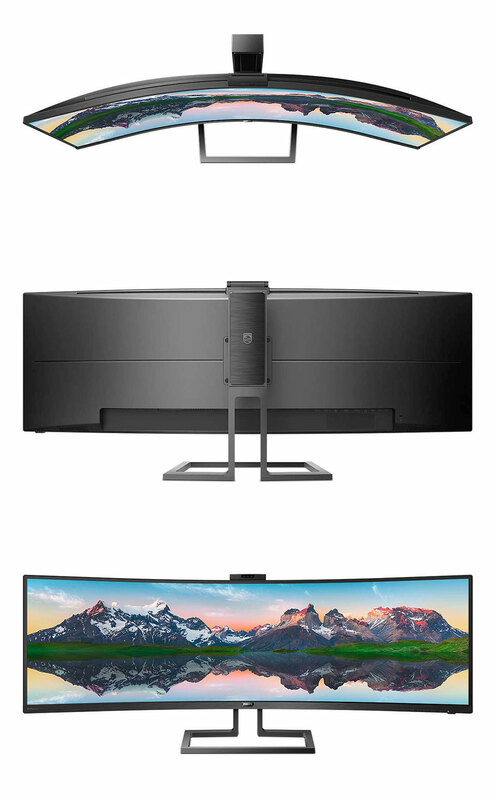 The Philips 499P9H1 Superwide Monitor features a 49in screen size, 5120x1440 resolution, 60Hz refresh rate, 5ms GTG response time, 1800R Curvature, Adaptive Sync technology, Gigabit LAN, HDMI 2.0b, DisplayPort 1.4, USB 3.1, USB-C docking, speakers, swivel, tilt, height adjustable stand and VESA 100mm support. 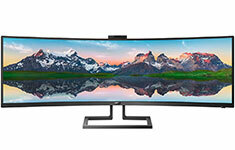 Philips' award-winning 49in curved 32:9 SuperWide display is like two full-size high-performance monitors in-one. Productivity enhancing features like USB-C and pop-up webcam with Windows Hello deliver performance and convenience you expect.